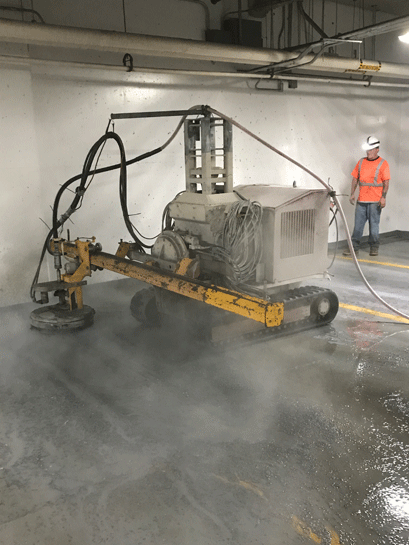 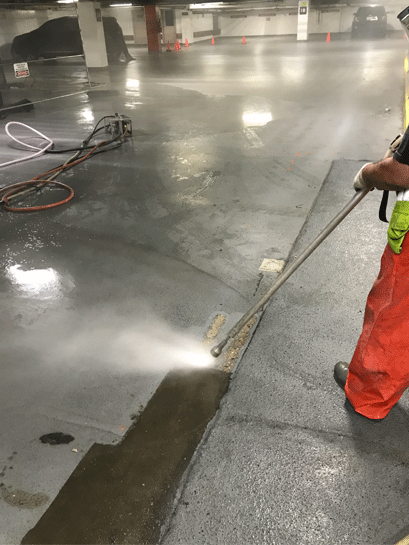 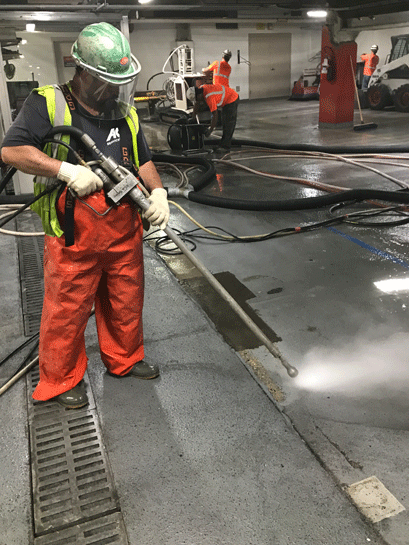 AK Industrial Services performed hand-held and robotic waterproof membrane coating removal on the traffic approach ramps, and partial-depth concrete hydro demolition to the body of the Franklin Street Parking Garage. 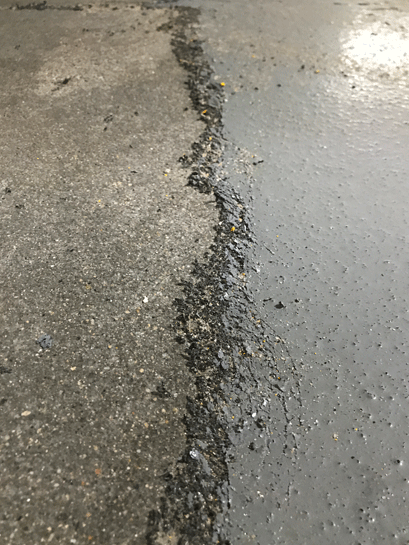 Multiple phases of work: The work was completed in the only access ramp to the underground parking garage; Left side, then right side. 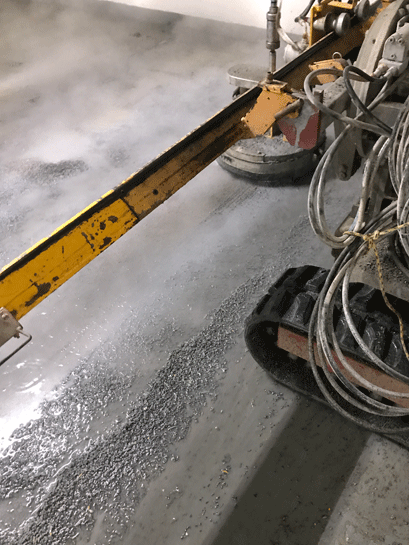 Limited space for all the equipment: Nearly half the equipment had to be mobilized in and out every night. 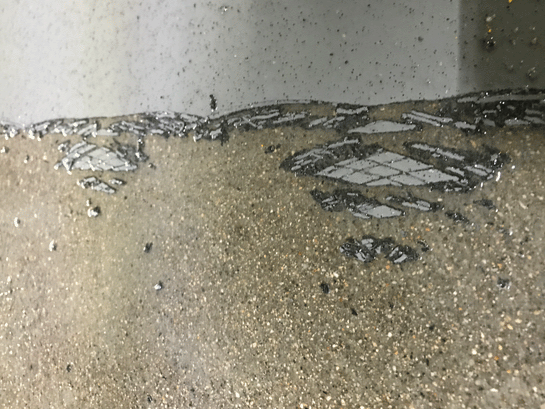 Water control with 100% recovery – since everything pitched down in to the garage and no water was allowed into the existing drains.